In a medium bowl, beat together cream cheese and butter until smooth. Mix in confectioners’ sugar, brown sugar, and vanilla. Stir in chocolate chips. Cover and chill in the refrigerator for 2 hours. 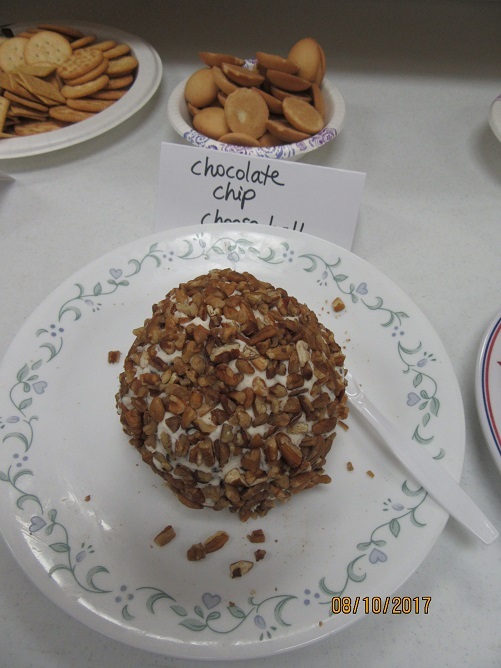 Shape chilled cream cheese mixture into a ball. Wrap with plastic and chill in the refrigerator for 1 hour. Melt approximately ¾ package of white almond bark. While waiting melt about ¼ package of chocolate almond bark. In a medium sized bowl, mash cream cheese. Mix dressing mix and Cheddar cheese into the cream cheese. Shape the mixture into a ball. Roll the ball in the chopped nuts. In a medium bowl, combine the sausage, cheese, and dry baking mix. Mix together, and shape mixture into walnut-sized balls. Place on a foil-lined cookie sheet. Bake for 12 to 15 minutes. Serve hot. Place ¼ cup carrots, reserve the remaining carrots for coating the cheese ball) and the bell pepper in a clean kitchen towel or sturdy paper towels and gather at the top. Squeeze the carrots and pepper to remove as much moisture as possible. Using a stand mixer or a bowl and a spatula, mix together the carrots, bell pepper, cream cheese, radishes, 2 tablespoon scallions (reserve the remaining scallions for coating the cheese ball), jalapeno, if using, and salt until combined. Form the mixture into a ball, cover with plastic wrap, and refrigerate for at least 2 hours or overnight. 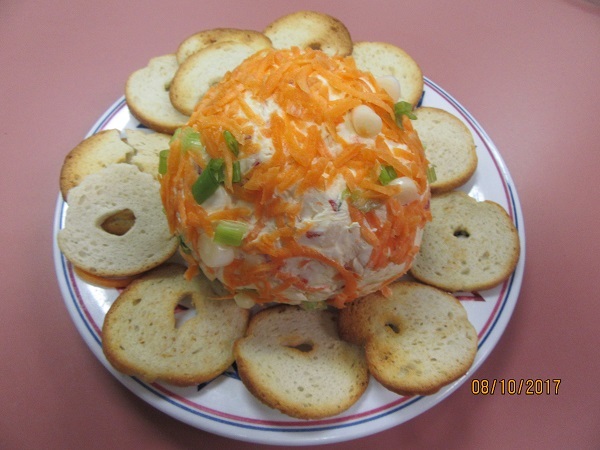 Before serving, roll the cheese ball in the remaining carrots and scallions to coat. Serve with bagels, bagel chips, or crudités.